* This post now appears in expanded form in the Bulletin for the Study of Religion journal. While discussing construction of the upcoming Karma Kagyu Tibetan Buddhist practice center near Loch Ness, Lama Gelongma Zangmo of Scotland has suggested that the Loch Ness Monster can be regarded as a naga—a serpent-like creature from Hindu and Buddhist mythology, which is said to live in underwater cities and is commonly associated with kingship and wealth. Zangmo has herself made offerings to the alleged monster in order to show respect and bring prosperity. Formerly a Tibetan Buddhist nun of the Kagyu lineage, Zangmo became the first person in Britain to be promoted to the rank of Lama. 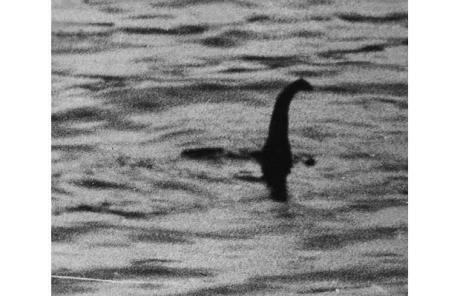 The media, which continues to be fascinated with reports of Nessie, has focused primarily on the implications of Zangmo’s offering for theories of cryptozoology—are there precursors of the Loch Ness monster in Asian mythology? Could the Loch Ness monster be a spirit being, rather than a flesh and blood monster? But Zangmo’s offerings have far more significance to Buddhism. Making Buddhist offerings to a creature from Scottish folklore marks an important moment in the arrival of Buddhism to the West: While Western intellectuals have historically favored Buddhist philosophy over ritual praxis and Buddhist theories of mind over cosmology, Zangmo’s offerings demonstrate how Westerners are finding new uses for Buddhist cosmology as a lens through which to frame their own experience of the world. Zangmo first began cultivating her relationship with local nagas at the Sangye Ling monastery on the River Esk—about four hours south of Loch Ness—where a cone shaped structure by the river has been used to leave offerings. Zangmo has announced that the practice will continue at the new Buddhist center opening near the shores of the Loch this fall. Traditionally, offerings are made to nagas in exchange for prosperity. A famous story relates how the Buddhist philosopher Nagarjuna dove through the water to enter the kingdom of the nagas and reclaim the Prajnaparamitra sutra, which the naga kings had protected since the time of the Buddha. For Zangmo, however, making offerings to Nessie seems tied more to a performative environmentalism than the acquisition of lost treasures: she claims that honoring Nessie as a sentient personification of the Scottish landscape helps to cultivate respect and appreciation for the land, which in turn promotes wellbeing. Zangmo’s Loch Ness offerings also mark the environment in other, more profound, ways. Much of Tibetan Buddhist history and folklore has been concerned with genii loci. According to legend, the Tantric master Padmasambhava arrived in Tibet in the eighth century and tamed its numerous demons and spirits. Many were converted to become “Dharma protectors” who employ their supernatural powers for the good of the Dharma. The Tibetan land itself is understood to be an enormous supine demoness held in place by strategically located monasteries. Other Buddhist countries have generally accepted Indian cosmology and mythological creatures as part of their adoption of the religion. However, Buddhism’s rich tradition of gods and spirits has struggled to make the journey to the West. Many religious cultures have local, geographical features such as pilgrimage sites are features that cannot be transported directly to new soil—with the possible exception of Chinese stories of flying mountains. But Buddhism in particular has been divorced from much of its cosmology when adopted by Westerners. In what Jan Nattier has called “import” or “elite” Buddhism, Western intellectuals have historically embraced Buddhism as a “philosophical” tradition that is superior to Christianity because it is not reliant on belief in supernatural entities. Zangmo’s strategy of adapting localized practices from Tibetan Buddhism to a Scottish context, therefore, signals a number of shifts in Buddhism’s move West: namely, it demonstrates that Western Buddhists are no longer as keen to abandon traditional doctrines and practices concerning gods, spirits, and the supernatural. Furthermore, Zangmo’s practice demonstrates Tibetan Buddhism’s capacity to structure and order a Western cosmology. As demonstrated by Stephen Prothero in The White Buddhist and David McMahan in The Making of Buddhist Modernism, during Buddhism’s initial adoption by western practitioners, the “totalizing” power of Buddhist thought was frequently relegated to the larger “totalizing” discourse of Protestantism. Zangmo’s actions reassert the totalizing potential of Buddhist thought and show that any phenomena, including hypothetical lake monsters, can be located within a Buddhist worldview and incorporated into Buddhist practice. Finally, by using a traditional Tibetan Buddhist framework to “Buddha-ify” Nessie, Lama Zangmo is perhaps developing her authority and charisma within the larger Tibetan Buddhist community: Zangmo’s position as a Caucasian woman who has achieved the rank of lama is virtually unprecedented in Tibetan tradition. The adaptation of a local Tibetan practice works to situate her as an authentic participant within the sphere of Tibetan culture. In fact, by taming a local naga she is acting somewhat like a modern-day Padmasambhava. While Westerners often imagine Tibet as an exotic land of magic and mystery, modern Westerners have enchanted their own landscape with stories of monsters and demons. Monsters and missionaries have always gone together. Nessie fans claim that before the original 1933 sighting of the monster, Nessie appears in a seventh-century hagiography of the Irish abbot and missionary Saint Columba. In that story, Columba impressed a group of Picts by making the sign of the cross to rebuke a man-eating “water beast.” The juxtaposition of cryptozoology and Buddhism holds fascinating possibilities for the future—Is the Mothman really a garuda? Will stupas be built to contain marauding Bigfoots like the famed demoness of the Tibetan soil? Will a modern-day Buddhist saint persuade the chupacabra to become a Dharma-protector? Zangmo’s practice suggests that not only can these creatures gain new meaning within the Buddhist framework, but that the creatures themselves can be a resource in bringing local practices to new soil. Joseph Laycock is an assistant professor of religion at Texas State University. His forthcoming book is entitled The Seer of Bayside: Veronica Lueken and the Struggle for Catholicism (Oxford University Press). Natasha L. Mikles is a doctoral student at the University of Virginia. Her research centers on the hell episodes of the Gesar epic, as well as Tibetan literature and bibliography more generally. This entry was posted in Joseph Laycock, Natasha Mikles, Religion and Popular Culture, Religion and Society, Religion in the News, South Asian Studies, Theory in the Real World and tagged Buddhism, cryptozoology, folklore, Gelongma Zangmo, Hinduism, Loch Ness, Loch Ness Monster, mythology, naga, Nessie, Religion, religious studies, Scotland, Tibetan Buddhism. Bookmark the permalink.